If you’re struggling, don’t worry! 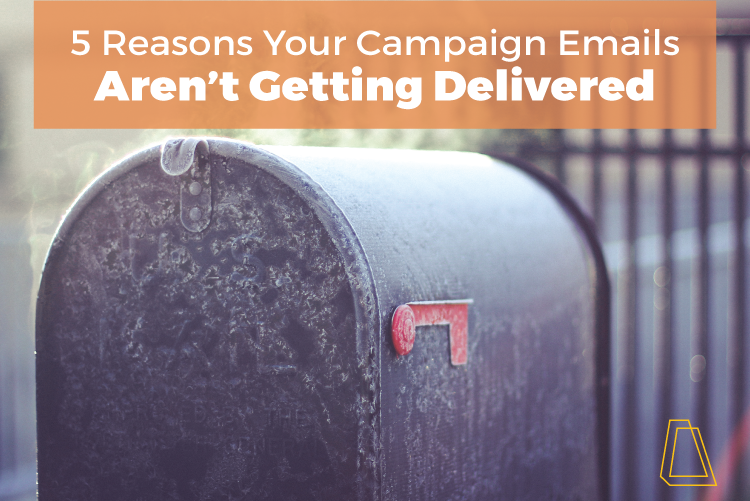 We’ll walk through 5 reasons your campaign emails aren’t getting delivered, as well as solutions to make sure your emails start landing in the right inbox at the right time. Sources are where your contacts come from, permissions are what your contacts allow you to do with their email address and expectations are what your contact think you’ll do with their email. With that in mind, let’s dive into the reasons associated with these culprits. Where did your contacts come from? The source of your contacts is an important indicator of whether or not your emails will get delivered. If your contacts came from a list that you purchased, there are bound to be bad and unmailable contacts on that list (no matter how much you paid, or how reputable the company from which you purchased it is). 2. You didn’t have permission to email the person or list in the first place. Permission is vital to successful email deliverability. When your company purchases an email list instead of organically growing that list over time, you are bound to get unsubscribes, hard and soft bounces, temporary failures and...get reported as spam (yikes!). Purchasing an email list isn’t the only way you can find and use someone’s email without their permission. Sources like LinkedIn, Social123 and other account verification tools are great for gathering contact information, but should not be used as a way to gain emails for campaign blasts. If you haven’t already tried growing your email list organically, start doing so. In the meantime, if your business chooses to purchase email lists, be strategic about who you send your emails to, and how. Try sending personal emails to individuals instead of launching a mass email campaign. Start creating buyer personas and applying them to your contacts, and be as tailored with your message as possible to keep recipients engaged instead of enraged. 3. Recipients weren’t expecting an email. Before sending any email campaign, make sure contacts are expecting it. Even inbound contacts (contacts that come to you, want to connect with you and opt in to emails from you) will unsubscribe to your emails if you send them something they weren’t expecting. Joe opts in to a monthly email newsletter from CompanyX. CompanyX sets the expectation that they will only send Joe the email newsletter he wants once a month. CompanyX decides to send Joe and other newsletter subscribers an email they didn’t subscribe to about a new service they provide. Not wanting or expecting this email, Joe unsubscribes to all Company X emails, even the newsletters he loves! You can combat this issue by offering subscribers the option to opt in to multiple email types. This way, they can subscribe to the emails they want, and avoid receiving emails they don’t like. This also helps you only send the emails your contacts expect. 4. You have a bad email address. According to HubSpot, email marketing databases naturally degrade about 22.5% year over year. People change jobs, stop using old email clients and their email addresses change over time. This is why it’s important to keep your contact list healthy. Using forms allows you to collect valuable contact information about a person. The best part is that the person is giving you their information directly! 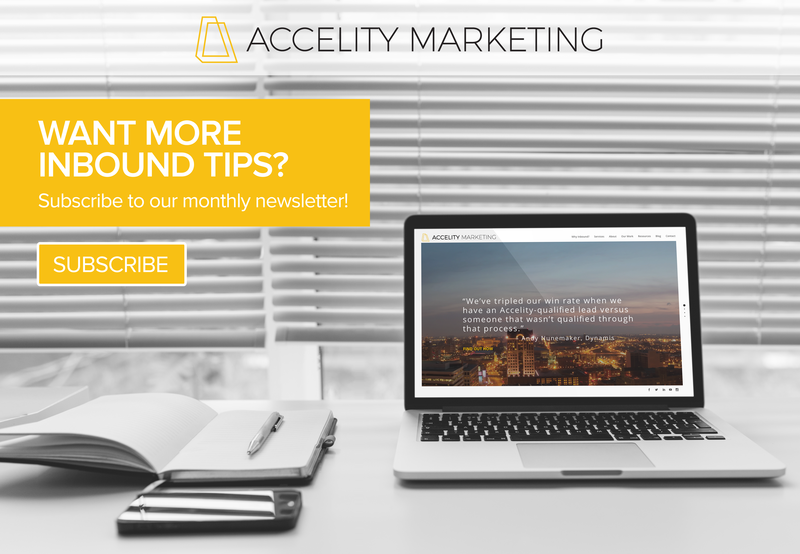 Another way you might already use forms is for growing your monthly newsletter list. That’s a surefire way to guarantee you’re receiving good email addresses, and that those contacts want to hear from you. 5. Uh-oh...you’ve been marked as spam. Getting marked as spam on occasion won’t ruin your deliverability. However, when spam complaints are frequent, or you have too many spam complaints about your campaign emails, this affects your email deliverability. The problem with spam complaints is that you might not even know you’re getting them. A good rule of thumb when monitoring spam complaints is to take the number of reported spam complaints and multiply it by 3. This gives you a more realistic idea of the number of complaints you receive. Whether your emails struggle to hit the inboxes of recipients because of contact sources, expectations or permissions, it’s never too late to change your email practices and increase your chances of deliverability. Is there another reason you think your emails aren’t making it to a contact’s inbox? Let me know in the comments below! Are you looking for assistance with your email deliverability and marketing? Contact Milwaukee email marketing agency, Accelity Marketing.